How do I protect my online accounts from being hacked? Question of the week: First it was Facebook, then Living Social, then LinkedIn, now Twitter accounts have been hacked. How can I keep my business and personal accounts from being hacked, if the big boys can’t even protect theirs? You are right. It seems like every week we hear about another major website or an account on a social network being hacked into. Your concern is genuine, because once hackers get in they can not only gain control of your account, but they can also get your email address, passwords, and even get access to your bank account. There are some steps you can take. One-click log ins Save all your log in details and log into your favorite websites with a single click. 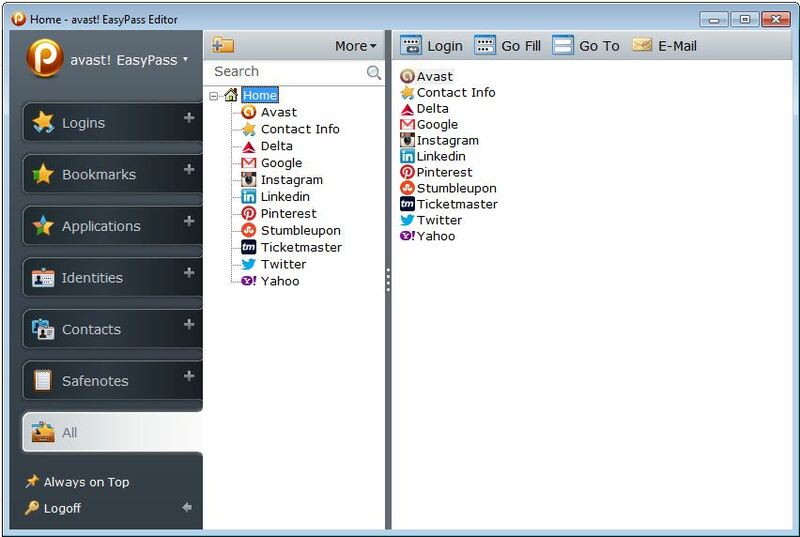 Single master password EasyPass securely stores all your website and Windows application passwords. From now on, you only need to remember one master password. Password generator Generate random passwords for all your different accounts for the most protection. 12345 just doesn’t cut it anymore. Fill in forms Store personal information which can be used later to automatically complete online forms, so you don’t have to manually type in the same details every time. You can try a 1-month free trial of avast! EasyPass. Visit the avast! Store and click free trial Download. Google and Facebook offer two-factor authentication, and Twitter just announced that they added this extra security layer yesterday. Two-factor authentication requires users to enter a second code along with their username and password. As a barrier between your account and hackers, we suggest that you enroll in login verification programs when offered. For those who sign up, Twitter will send a six-digit code using a text message each time they sign in to Twitter.com. Besides their username and password, users will have to enter the code as well to log in. It’s a bit inconvenient, but it’s more of a pain to clean up your reputation if a hacker gets ahold of your account. Get started by going to the Twitter blog. It is a little harder to log out when we access our accounts from a smartphone, but if you lost your phone, a hacker would not only have your phone; he’d have your identity! Protect your smartphone from theft by installing avast! Free Mobile Security. With the Anti-Theft component enabled, you will have remote options to locate and recover your phone.